Are you ready for the best epoxy garage floor Kansas City? Then welcome to Amazing Garage Floors! Our epoxy garage floor system is superior to other epoxy garage floors. Our hybrid garage floor system is what you are want to protect and enhance the value of your home. Unsighlty damage and cracks that you may have will be repaired (see damaged garage floor repaired here). Covered by a beautiful, and durable garage floor, that will last you many years, and even decades without any additional maintenance-GUARANTEED! Let our professional installers complete your garage floor in just one day. Epoxy garage floors are NOT created equal! Only Amazing Garage Floors can install our beautiful, durable, floors fast, and guaranteed to perform for years to come, including wear! We have more than a decade of installing epoxy garage floors and thousands of happy clients served. Therefore, you can’t go wrong with an Amazing Garage Floor. 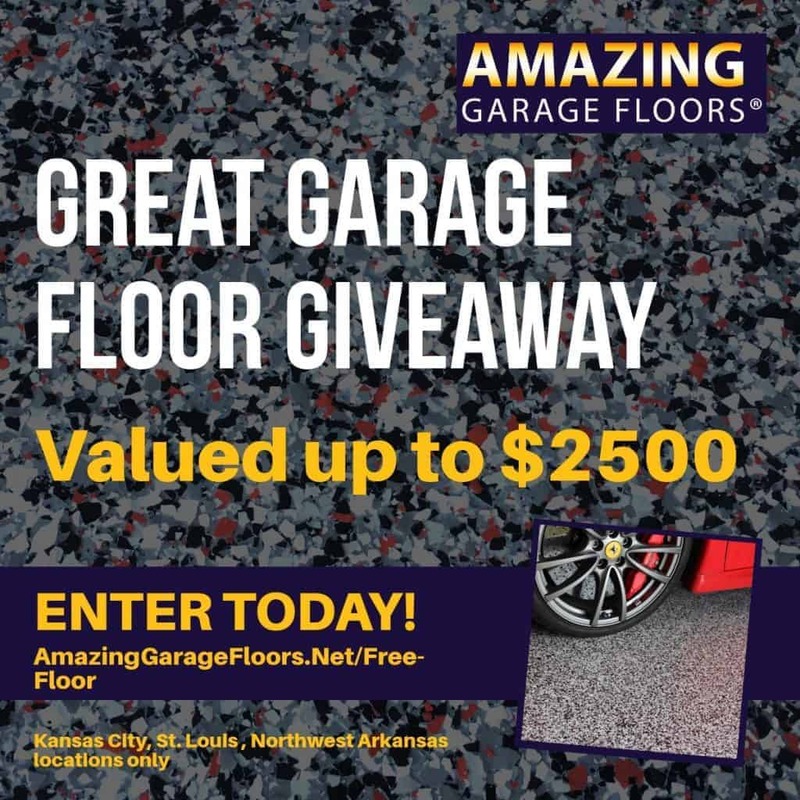 See how the trained, professional installers at Amazing Garage Floors deliver for you. As a result, you will always get the best looking garage floor. With Amazing Garage Floors, you will get many years of your enjoyment and performance. Most of all, we strive to provide the best value for homeowners that wish to protect, beautify, their garage-an extension of their home. Enjoy many years of easy cleaning and a garage floor that your friends and neighbors will make you the envy of the neighborhood. Share with friends for even more entries!! !